Well, social media got much hotter and fun on a wonderful Holiday like this. Looks like everyday, something new has to pop up on Facebook and make trends.. 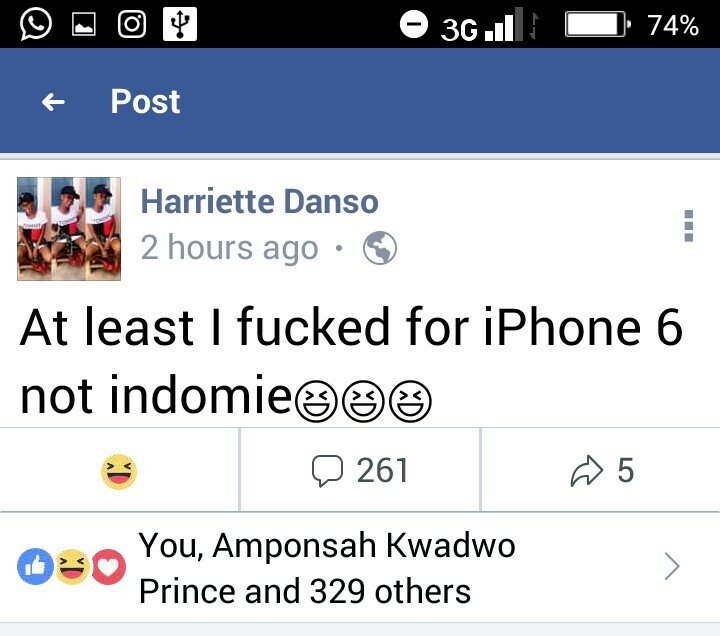 This time around, wegossipgh made a stop on the wall of this youngest Slay Queen in town by name Harriette Danso who boldly gathered the courage to post one ridiculous statement on her timeline which got social media set on fire. 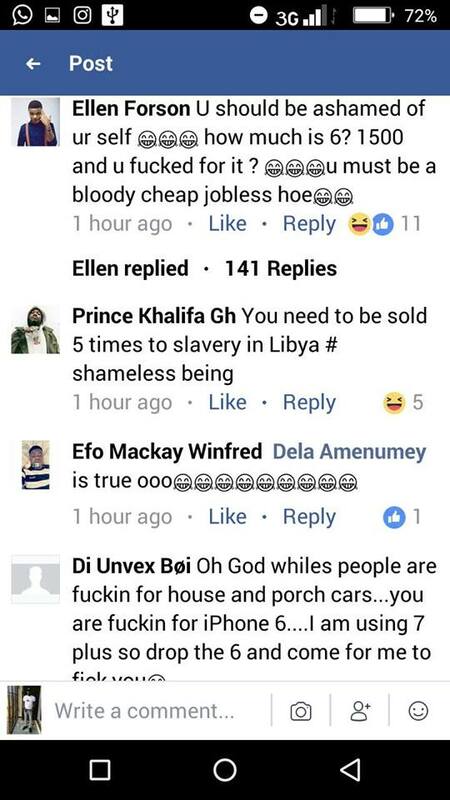 How is that suppose to be an achievement for teen like you.. Ah well, looks like having an iPhone in Ghana feels better than making it in life. 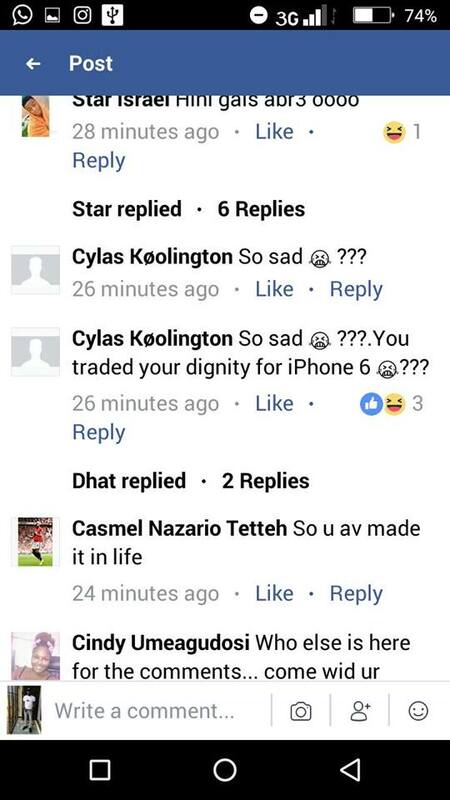 Her comment pulled a whole lot of controversies on her timeline. Check em out and don’t forget to always check in for more gist.